Eileen Skaife (who played Woman by the Fire) kept cuttings in her 1957 scrapbook about the plays. For a cutting about selected actors recording part of the Plays for the Home Service, see 1957 Scrapbook. 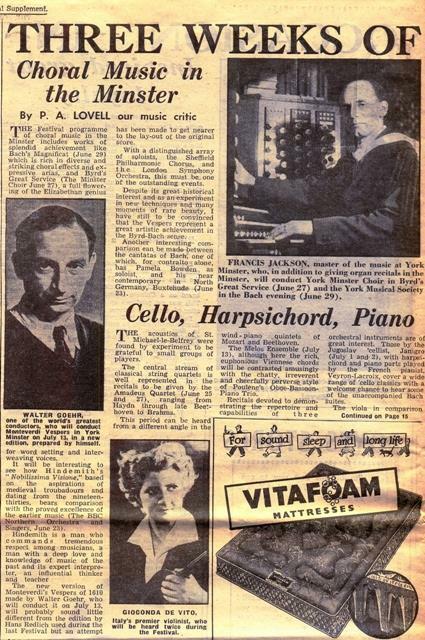 Below is a scan of a page from the 1957 Press Supplement about the York Festival. The music critic was previewing the productions to come. He commented on the production of the 1610 Monteverdi Vespers, conducted by Walter Goehr. This was a new edition by Goehr, its first public performance, on 13 July 1957. BBC Radio broadcast the music, which went on to become the most popular version of the Vespers. 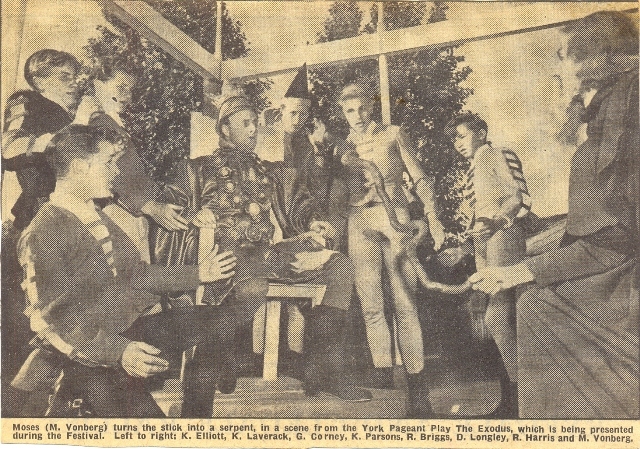 It was performed again at the York Festival in 1960, 1963 and 1966.